If you’ve been holding out for a Retina iMac, the wait may be almost over. First spotted in the latest Mountain Lion developer beta, code has now been uncovered in OS X Yosemite that references new resolutions for what would be a Retina display-equipped iMac. Macbidouille has found a file in Yosemite that lists scaled-up resolutions for such a display. The structure of the list is identical to resolution listings for the Retina MacBook Pro, which lends credibility to the discovery. The resolutions would not be the default resolution for a Retina iMac when it ships, but the additional options available in System Preferences. The largest resolution is 6400 x 3600, which would translate to 3200 x 1800 in Apple’s “HiDPI” Retina mode. Other resolutions listed include 5760 × 3240 (2880 × 1620 HiDPI), and 4096 × 2304 (2048×1152 HiDPI). The current 27-inch iMac has a default resolution of 2560 x 1440. Rumors of a Retina iMac have been out there for years, but this could finally be the year that Apple is able to mass manufacturer the high-quality displays it needs. 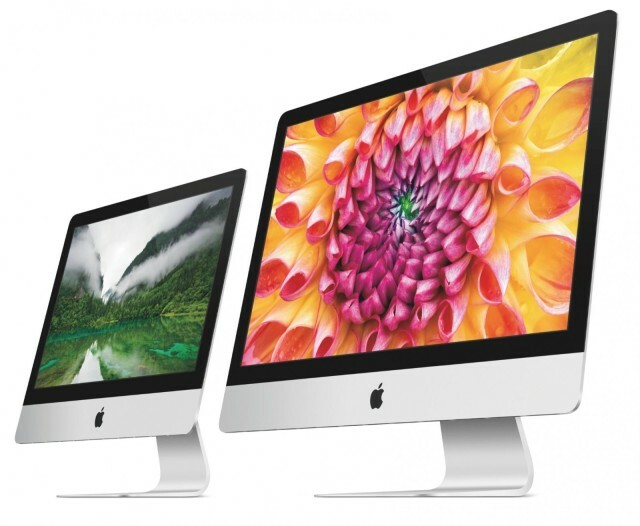 A lower-priced iMac has also been reported to be in the works for areas like Asia. No new hardware was announced at WWDC earlier this week, so we might not see any new Macs until the fall.